The Amanda Benford Cure for Canine Cancer Fund was established to raise proceeds to aid in the research and development to find a cure for canine cancer. FETCH a Cure is honored to be a part of this wonderful cause and share their commitment to finding a cure for our beloved companions. 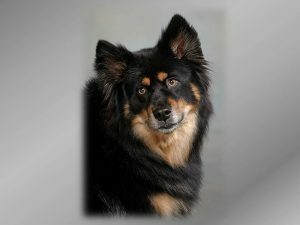 Amanda Benford was the beloved fur-child of George and Patty Benford. 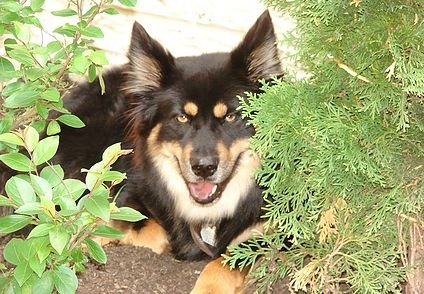 A beautiful border collie and chow mix, she joined the family in 2004. Her start in life was rough, but you would never know it! Miss Amanda was a social butterfly who enjoyed travel, meeting new friends, long walks and spending time with her little sister Gretchen. Following a beautiful morning walk on Saturday, April 13, 2013, Amanda had a sudden onset of illness and a rush visit to the emergency vet determined that she was hemorrhaging due to a ruptured cancerous tumor. It is now her parent’s mission to find a cure in her memory! You can read more about Amanda and her story on the Amanda Benford Cure for Canine Cancer Fund website.